And Steff, you did a good job with invitation! Thank you, dear Tilo for such a great choice! 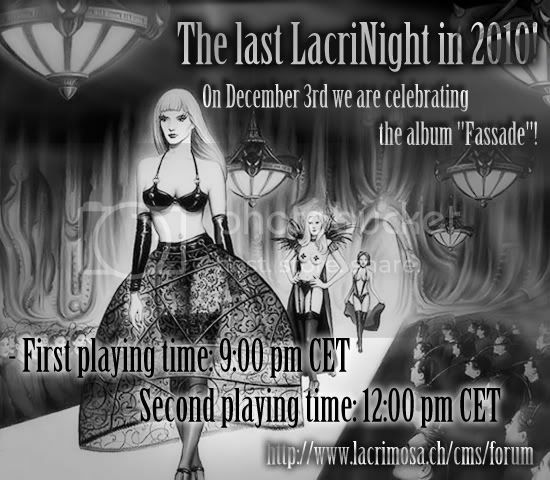 "Fassade" is the incredible album, one of the most favorite! Stephanie - my congratulations for the fine work! love it! @ All I don't wanna full the topic with "Thank you", the LacriNight is the protagonist, not me... So a BIIIIG Thank You!